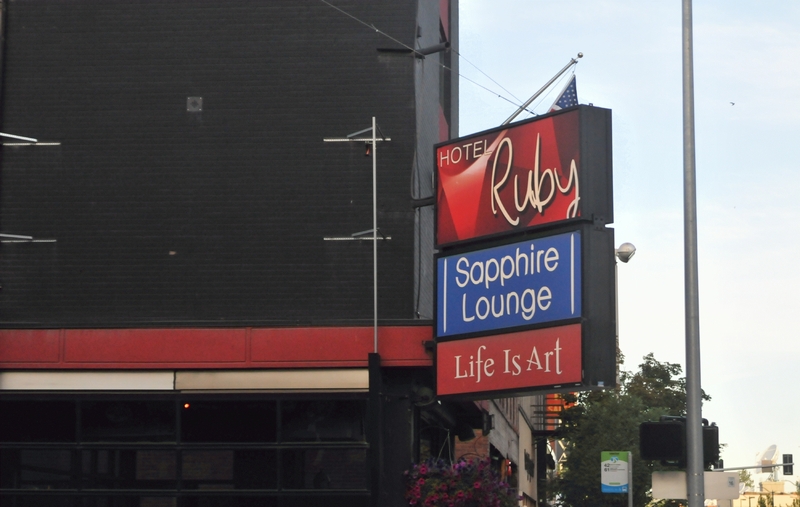 The paintings were high on the wall to the left of the "Hotel Ruby," "Sapphire Lounge," and "Life Is Art," signs. 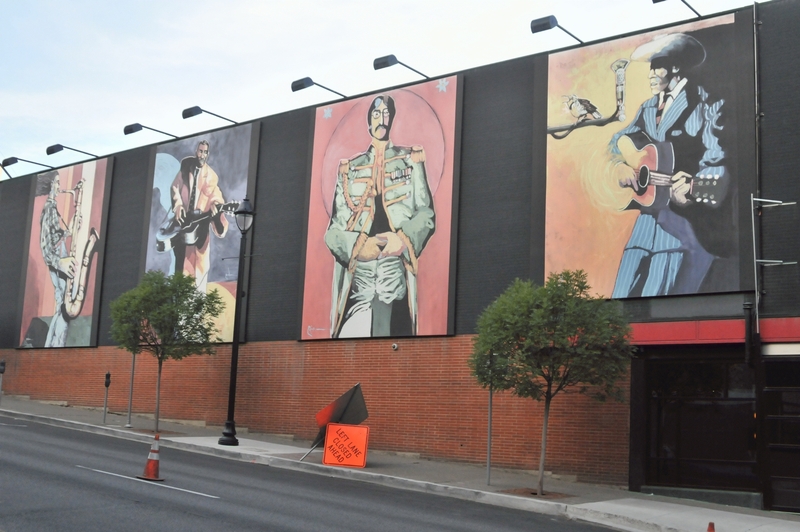 Four large paintings of famous musicians decorated the walls over the sidewalk. 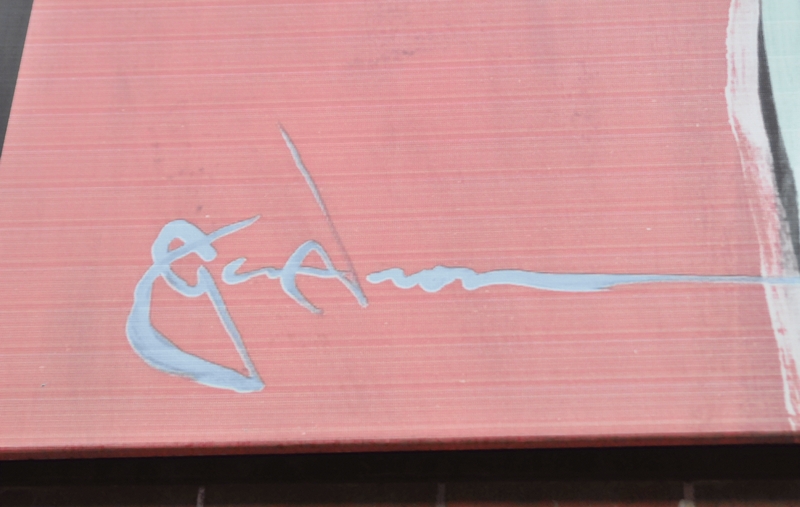 A a signature on one of the paintings by the person who painted these re-creations Of Paintings By Ric Gendron. 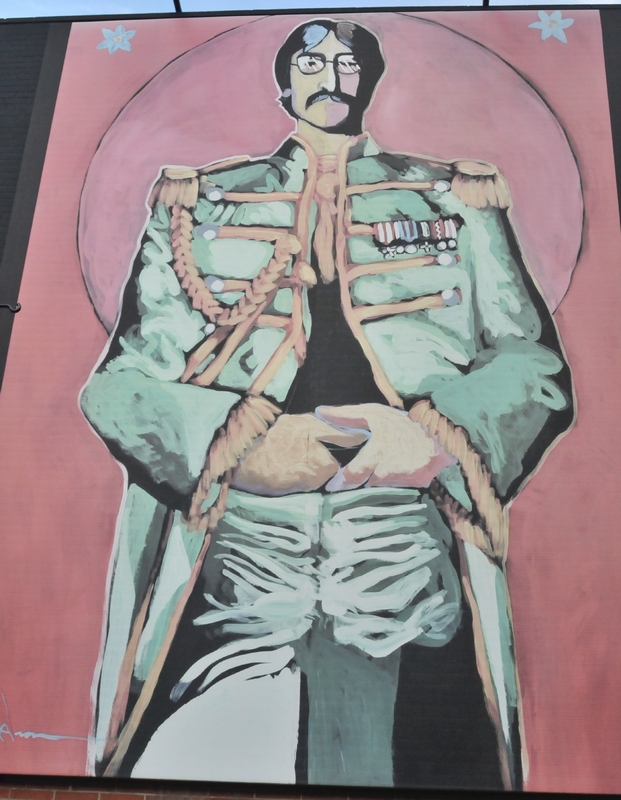 One painting illustrated a musician wearing a military outfit. Probably John Lennon. 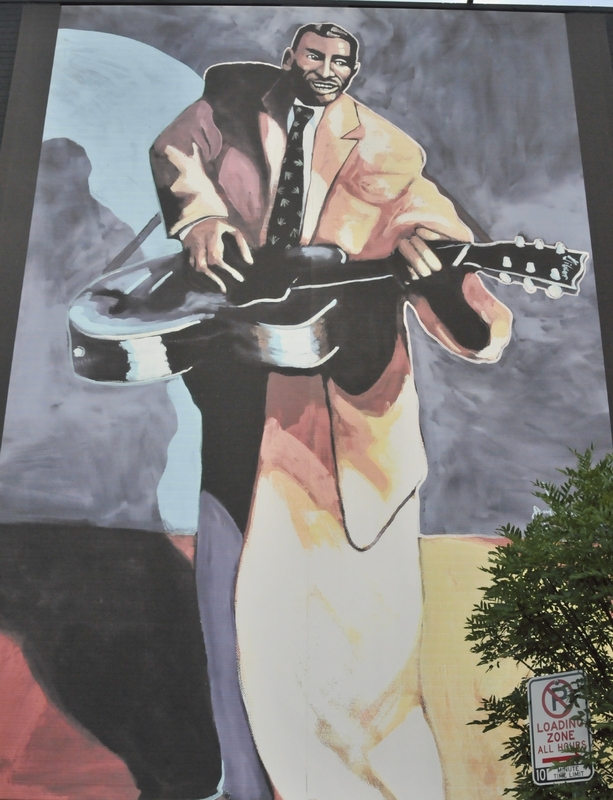 Another painting illustrated a man playing a guitar. 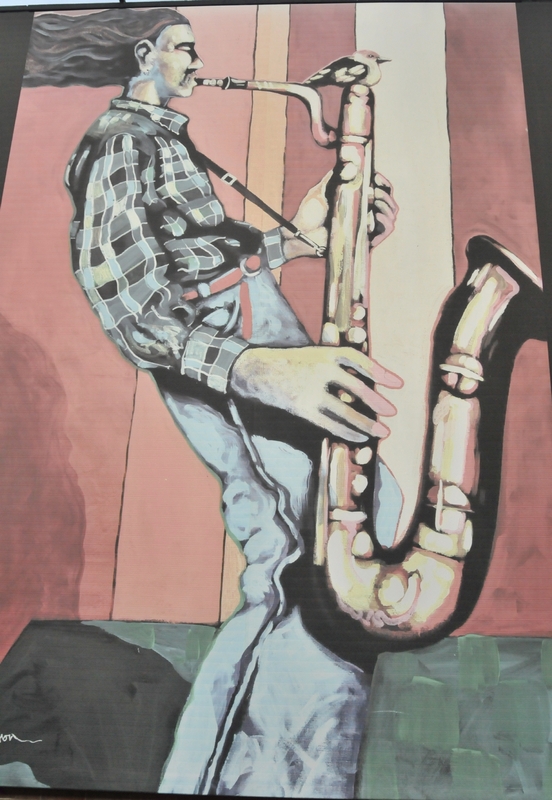 A third painting illustrated a musician playing a huge saxophone. 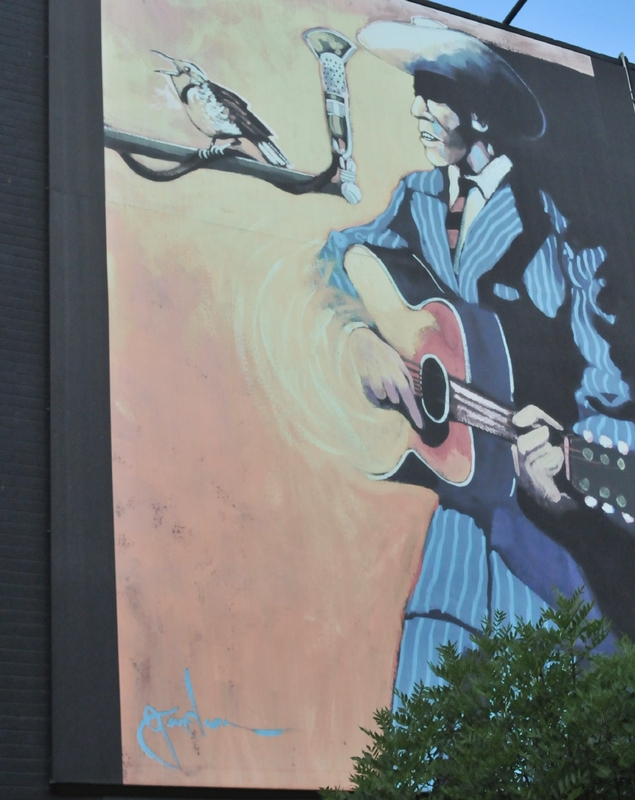 The last painting illustrated a cowboy playing a guitar while a meadowlark sang on the microphone. The Northwest Museum Of Arts & Culture. 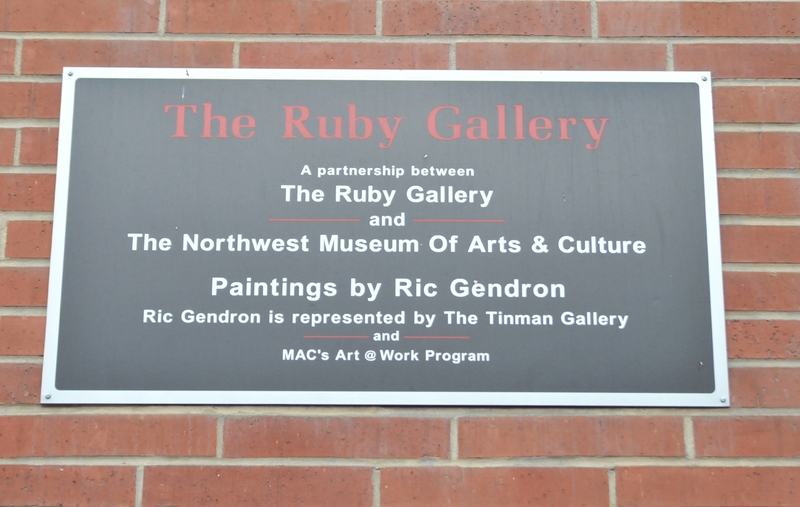 MAC's Art @ Work Program.